Brands up connects people and brands at key moments during the consumer journey, combining mobile and DOOH to create an innovative advertising experience.  Brands Up is the first integrated solution for retail brands to create relevant impacts and boost in-store traffic & sales, including at selective perfumeries and specialist stores, while building brand equity. Brands Up delivers a superior and contextualised advertising experience, targeting frequent visitors to the mall, in specific and identified areas. Communication is consumer-friendly: the right content is broadcasted with optimised messages and creatives according to location, time of day and device – either on mobile throughout the day or via DOOH near the point of sale in shopping malls. 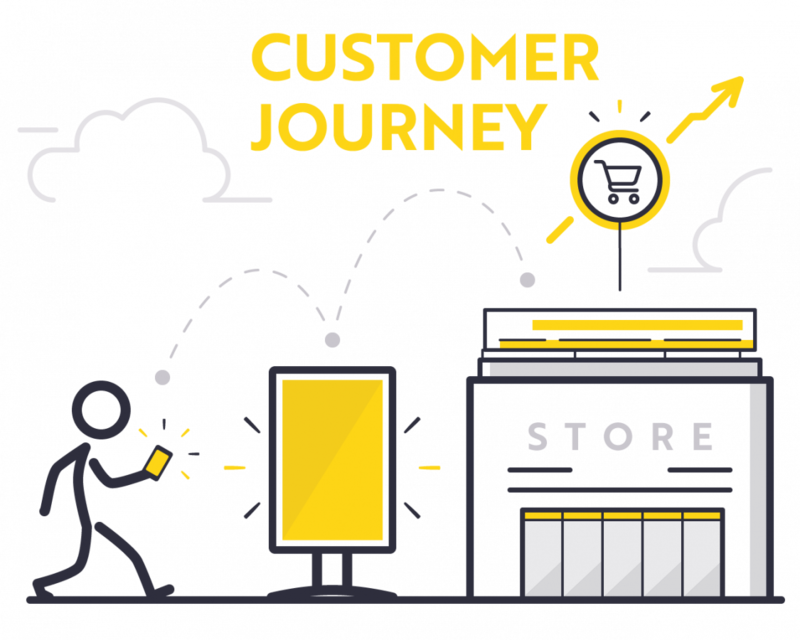 Brands Up primes frequent shoppers to a retailer ahead of their programmed visits on mobile, and then reaches them via DOOH screens right before the act of purchase. Brands Up drives Sales & Impact.  We integrate a quantitative measure of performance using your own business KPI (e.g. revenues) and offer an optional impact study. Quantitative measurements are carried out by a third-party expert, using control groups and a rigorous statistical methodology. Brand equity impact is measured via consumer panels through mobile surveys. Launch of a new range of cheese products. Awareness and consideration complemented by a TV campaign, over an All Adults target audience. National campaign. The campaign was broadcasted in 296 malls nationally. 2 weeks mobile and 1 week DOOH. A strong positive impact of the mobile only segment (1st week) with a 13% sales increase on the entire range. A greater impact when combining MOBILE + DOOH (2nd week) with a 25% uplift in sales. +25%* uplift in sales value (mobile + DOOH) * Weekly sales average, adjusted for size of stores and product availability, as calculated by Nielsen. Launch of a new range of desserts. National campaign with a focus on Géant and Carrefour retailer stores. A ll Adults target audience. National campaign. The campaign was broadcasted in 197 malls nationally. 2 weeks mobile and 1 week DOOH. A strong positive impact of the mobile only segment (1st week) with a 5.6% sales increase on promoted products. A greater impact when combining MOBILE + DOOH (2nd week) with an 8.8% uplift in sales. + 8,8%* uplift in sales value (mobile + DOOH) * Weekly sales average, adjusted for size of stores and product availability, as calculated by Nielsen. Retrouvez toute l'actualité du DOOH sur notre blog.